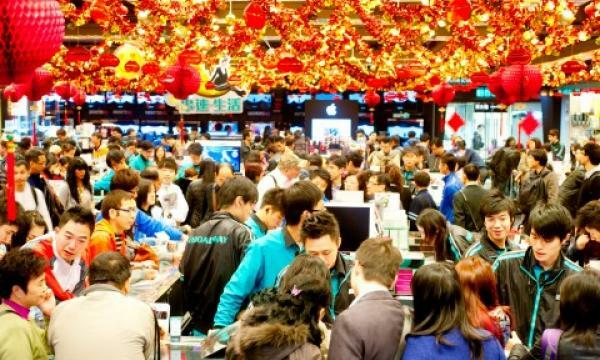 Spending will take a huge hit amidst weak wage growth and job losses..
China’s real gross domestic product (GDP) growth is expected to slow to 6.2% in 2019 from 2018’s 6.6% amidst continued trade tensions and poor relationships with the US, according to a report by Fitch Solutions. The ongoing US-China trade dispute is cited as the key headwind facing China’s economy which is expected to remain in play over the course of 2019. Chinese exports contracted 4.4% YoY in December 2018 which was its worst reading since December 2016 as demands for goods fell across most of its major trading partners. This is on the back of teething, structural issues such as China’s state subsidies to its state-owned enterprises (SOEs) and the gradual pace China advances protection of its intellectual property and openness of its economy, Fitch Solutions explained. Meanwhile, private consumption growth is predicted to remain under heavy pressure amidst an ongoing rebalance of the economy. Retail sales growth slipped to 8.2% YoY in December 2018 compared to 9.4% YoY in 2017. The new export orders sub-index of China’s official manufacturing purchasing managers’ index (PMI) stood at 46.6 in December 2018, which Fitch Solutions revealed was its lowest reading since November 2015. Likewise, the employment sub-index of the manufacturing PMI came it at 48 compared to 48.5 in 2017. However, Beijing may likely step up its efforts to support the economy in a measured and targeted manner to avoid the broad and heavy stimulus policies may bring as seen after the global financial crisis between 2008 and 2009, the report stated. It further added such policies which may include a higher borrowing limit for local government special purpose bonds, could support China’s fixed asset investment (FAI) growth, particularly in the infrastructure and high-end manufacturing industries.